Sage 300 ERP (formerly Sage ERP Accpac) is an business accounting software which provides midsized companies with a customizable, cost-efficient, and highly adaptable enterprise resource planning solution for finance, CRM, and operations. Companies around the world use Sage 300 ERP (formerly Sage ERP Accpac) to manage nearly every aspect of their business. Sage 300 ERP is a comprehensive multinational business management solution built on the most flexible and expandable architecture available today. Cost-effective, quick to implement, and simple to use-Sage 300 ERP provides best-in-class solutions to automate workflow throughout your organization. 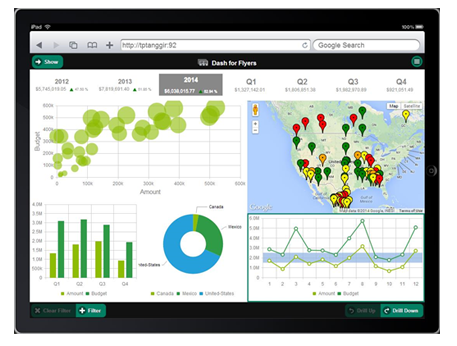 Sage 300 ERP offers all the features you would expect from a powerful software solution: accounting, distribution, warehouse, manufacturing, sales, marketing, customer service, and business analytics-through business intelligence and real-time key performance indicator (KPI) dashboards. Plus additional features well suited for companies managing multiple businesses across country borders. 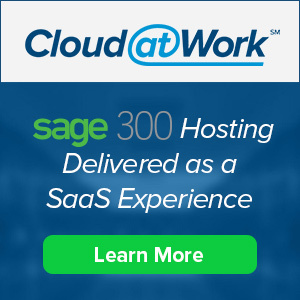 Sage 300 & Sage 300cloud (formerly Sage 300c) 2019 is Here! New enhancements to move your business forward. There’s something for everyone in the Sage 300 2019 release. Net at Work is one of the leading authorized Sage 300 ERP (The new name for Sage Accpac) resellers and consultants. Our consultants, developers and helpdesk have extensive experience in Sage 300 ERP, Sage 300cloud (formerly Sage 300c) - including custom demos & pricing, implementations, upgrades, conversions, customizations, training and support.